The second season of Ring of Elysium is set to kick off tomorrow. The major update to Ring of Elysium will include a completely different map, new characters, new weapons, stability improvements and more. Prior to the major update, the Ring of Elysium servers will be offline from January 15, 2019 at 11:00 PM PST – January 16, 2019 at 2:00 AM PST. The map is the first major change in Adventurer Season 2. Europa is a remote island surrounded by sea with a magnificent coastline. The two islands are seperated by water which has 5 different bridges connecting the two islands. With all new points of interest such as Galileo Harbor, Fisherman Town and more there is plenty to explore. By purchasing and leveling up your season 2 adventurer pass players will unlock unique skins known as characters. Like season 1, season 2 will have 3 characters “Sylvia”, “Bradley”, and “Alfonso”. All 3 of the characters will have unlockable styles and outfits that will gradually unlock as players adventurer pass tier increases. With the launch of the new season, we will reset the leaderboard; all players’ ratings and their personal statistics record. In the future, we will continue to reset players’ ratings and personal statistics with the launch of every new season. Since the gamemode’s official launch on December 22, 2018, we have received lots of feedback from many enthusiastic players. We will continue to polish this gamemode and improve its quality in all aspects. Stay tuned for the [From Dusk Till Dawn- Round Two]! After the end of Adventurer Season One, we will reset all players’ Battle Buddy list and Battle Buddy relationships. Players are welcomed to continue recruiting new Battle Buddies in the Season Two to join your adventures in Ring of Elysium! 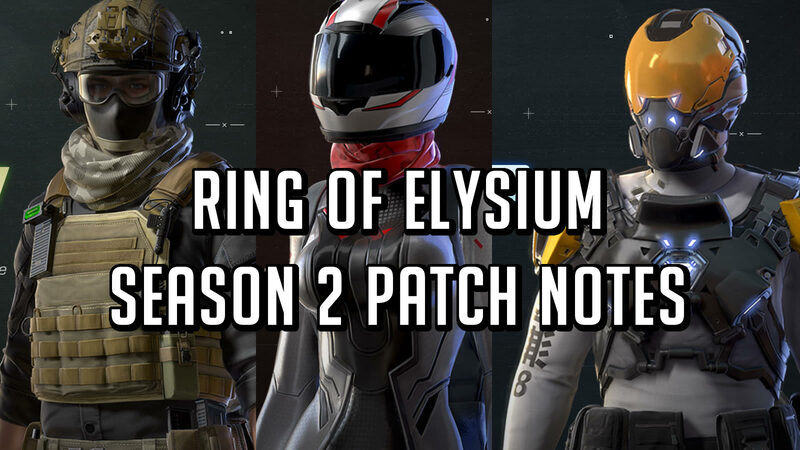 Complete patch notes can be seen on the official Ring of Elysium Steam thread. I’m not 100% sure, but I believe you can change your Steam name and that will change your Ring of Elysium name. Hi, ive got nickname change card but i have no idea how i got it exactly. Probably out of some mission.